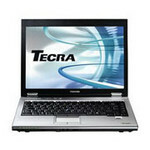 Toshiba's Tecra range of business notebooks may not be as well known as its Satellite range, but the Tecra product line is similarly being refreshed with the latest technologies on a constant basis. The latest additions to the Tecra line-up are the A9 and M9 series. 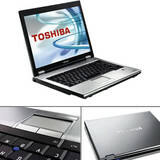 The M9L-12T sits bang in the middle of the six-model M9 family and uses the latest Intel Santa Rosa mobile technology. 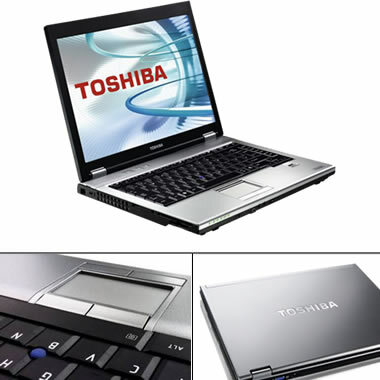 The latest Centrino platform, code-named Santa Rosa, features a new Core 2 Duo processor with an 800MHz FSB instead of the previous core's 667MHz, and a host of onboard power-saving features including dynamically switchable FSB speeds (so when the notebook is in a low power state, such as in DVD playback, the FSB throttles back), EDS (Enhanced Deeper Sleep) and Dynamic Acceleration Technology, an advanced version of Intel's Smart Cache technology.